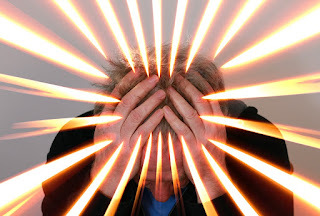 Headache is an household name for any discomfort one feels within the head. Also anheadache is technically any discomfort one feels in the head or neck region. And what does one do? Grab some aspirin to cure the pain ? Though, you might be relieved from the pain of an headache, will it be back? Well the answer depends on whether you have first gotten rid of the cause. Though 90% of headaches have no underlying cause, however some headaches can be life-threatening. You may have heard stories of individuals who died from ‘mere’ headaches. Well after now you won’t be surprised they did. There are several types of headaches and they are grouped into two: primary headaches and secondary headaches. In the mean time, primary headaches don’t have any underlying cause, secondary headaches are caused by either infections, impact on the head, etc. You may have heard that the brain itself is not receptive to pain, yeah that is true. The brain itself cannot feel a thing excluding some parts of the brain stem. So where do the pains come from ? Since the brain itself is not receptive to pains then an headache isn’t any indication that your brain is under fire. Though the discomfort tends to cut back ones productivity. The explanation of these pains vary. For secondary headaches; they are pains picked up by the cranio facial nerves once there is any discomfort in the head, neck, blood vessels and muscles (located within the head region). Cases reported show that patients experiencing pains caused by the irritation of the 5th cranial nerves prefer suicide to the pains they feel. Primary headaches are very much more common than secondary headaches. By definition, these headaches are “idiopathic” — occurring for no obvious reason, not the results of the other underlying unwellness. It is possible to prove that these conditions have a fancy interaction of genetic, biological process, and environmental risk factors. Common primary headaches embody migraine, tension-type, and cluster. What do you do when you have an headache? If its a primary headache then a decent rest would do. You could also pop some aspirin. If the headache is accompanied by rise in temperature, nausea, pain in the eyes, dizziness, etc, well then, its time you go to see your doctor. It could be symptoms to another ailment… Which could include malaria, or even a stroke! If its a secondary headache, then concentrate on treating the cause. Do you feel some other types of headache that you do not know the cause or you need some advice about how you have been feeling. Tell me in the comment section and i would tell you the necessary things to help you. The post was written by Momoh Emmanuel. A student of the department of Medicine and Surgery, University of Lagos. This post was written by a Guest Author. Please see their details above. If you’d like to share your experiences, ideas or you want to contribute towards the growth of Sound Health Doctor, please check our Contributor Page for details about how you can share your intelligent ideas with our blog.